Dropping back into the frozen Midwestern tundra after spending a good long spell in the fourth-world paradise that is Indonesia was a little shocking to my body, mind and spirit. I just returned from an epic adventure to Bali and Lombok that still has my mind reeling. I was exploring and volunteering in a tiny mountain village called Sembalun Lawang on Lombok (a very primitive Muslim island just east of Bali) and, of course, in between my incredibly rewarding classes of teaching English to all the school kiddies, I did what I do best: I ate. The food of Indo reminds me of Spanish-style tapas—not the flavor but the way the meal is laid out. Situated on colorful plastic mats, everything centers on fluffy piles of white rice, and the spread just gets better from there. Vibrant vegetables picked that morning, tiny squares of salty omelette, and spicy homemade sambals (think Indonesian salsas) are the mainstays in this exotic cuisine, and I ate like a champ. If I wasn't eating the delicious meals made by my local live-in family on Lombok, I was busy seeking out an addictive national dish called nasi campur (mixed rice). 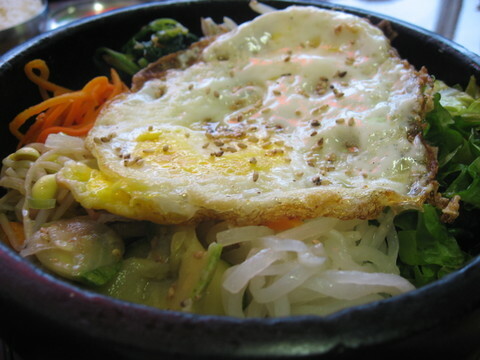 My fascination for that brilliant 40-cent meal bordered on the obsessive, and the only dishes I've found that remind me of it in Chicago are the wildly flavored eats at Da Rae Jung, a storefront Korean joint in Rogers Park. 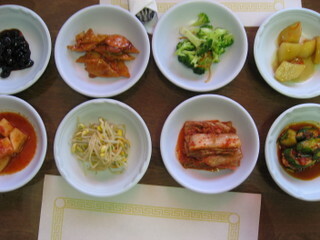 I never thought I'd be a fan of Korean food, but this off-the-radar gem has made me a believer. Just be on the lookout if you're going to trek out in this hellish weather to find it, because Da Rae Jung doesn't have proper signage. It only sports a bright fluorescent sign that simply states: Korean Restaurant. Better to call a spade a spade, I guess.